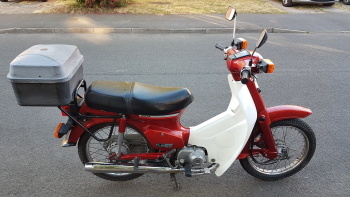 This bike is MoTed, TAXed and insured on my name (have the V5 as well). 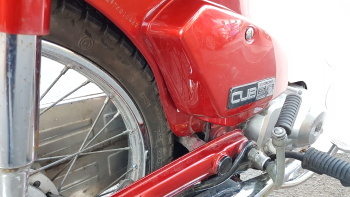 It is quite clean compared with many others out there, the wheel arch seams are rust free. 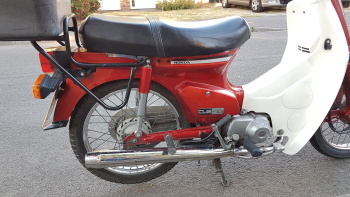 Pulls really well and rides nicely, would make a good restoration bike or ride as is. 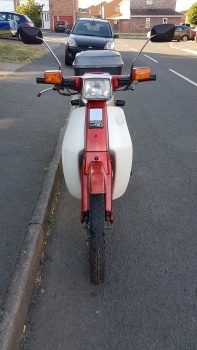 Bought it without MoT and it failed due to the front brakes sticking. 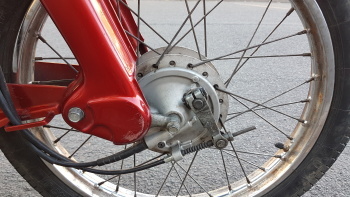 The front wheel was a Chinese pattern one and I had a 2002 C90MT complete front wheel + brake hub laying around so swapped them. 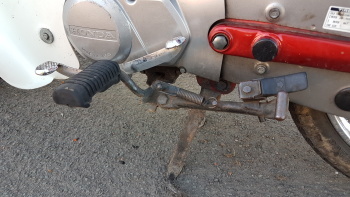 The cables were wrong so used a new front brake cable (Honda) and a Honda speedo cable. 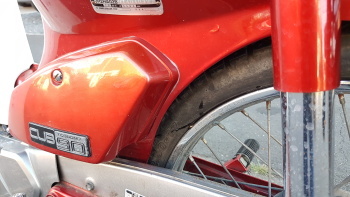 Bike passed the MoT after this, but the 2002 C90MT front wheel is a bit rusty. Will sell this bike with two rims (powder coated black). 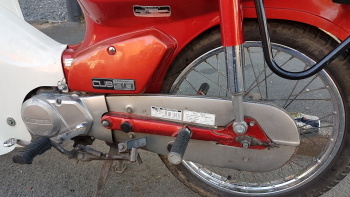 The previous owner changed the barrel as he lost the keys so I bought an original Honda lock set to have the same key for both the ignition barrel and the steering lock. Thus it comes with two keys. 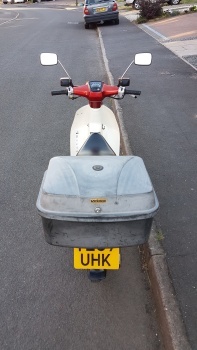 Bought the Rickman Rack and top box for it. The latter has two keys but needs a little work on the hinges and the strap holding the lid. 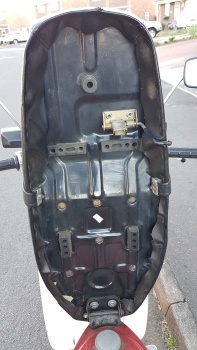 There were other fixings missing like the ones from the legshield and the grocery hook. 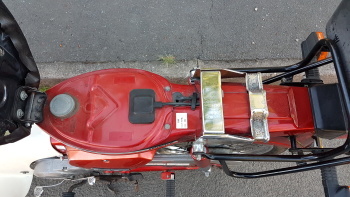 Fitted all original Honda screws and hook. 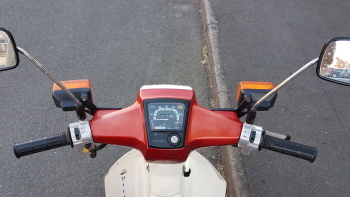 Indicator switch assembly was playing up and it's now sorted so no more problems. 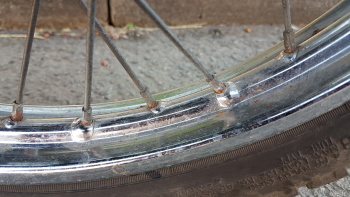 Tyres are Heidenaus and still seem to have plenty of tread left. Took the central stand pin out as the split pin that was holding it was sheared. 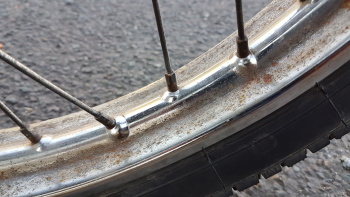 Cleaned the pin, greased it, new split pin and back it went... so this bike has a removable centre stand pin unlike any other. I can try to answer any other question you might have. 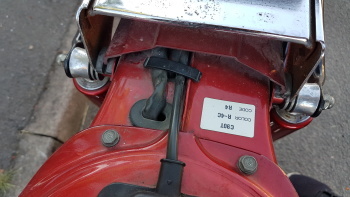 MoT runs out in May 2019 so 11 months MoT on it. 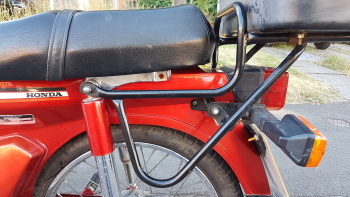 Might have another original seat to go with the bike. Also bought a new Yuasa battery for it for the MoT a month ago. Last edited by Capitano on Sat Jul 07, 2018 9:05 pm, edited 1 time in total. 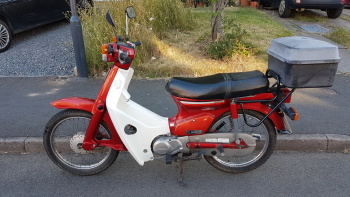 Bike is now sold. Taken deposit, waiting for collection. I am very pleased with the bike you sold me. Wow Paul! That looks amazing! Hope you like it and that it will serve you well.